As Susan reads, she's drawn into the fictional life of Tony Hastings, a math professor driving his family to their summer house in Maine, and as we read with her, we too become lost in Sheffield's thriller. As the Hastings' ordinary, civilized lives are disastrously, violently sent off course, Susan is plunged back into the past, forced to confront the darkness that inhabits her and driven to name the fear that gnaws at her future and will change her life. After watching and loving Nocturnal Animals I saw there was a book the movie was based on. This book, so I put it on hold at the library to see what it was like. I was hoping I would love it just as much as I did the movie. 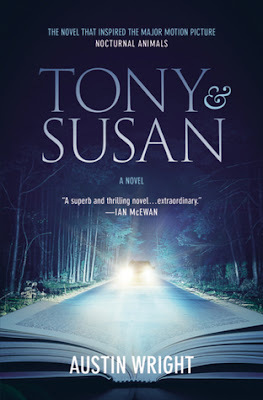 Tony & Susan was an interesting read. Because I had just seen the movie I knew where it was headed (if it was the same), and yet it was still really intense! I still was holding my breath at times waiting to see what would happen. It was particularly interesting because it was the same, but different. Everything that happened was basically the same as the movie, but small things were different. Susan was a bit different, the specifics were a bit different, but it still was very much the same. Susan gets a book one day from her ex-husband Edward. He was always trying to write while they were together, but she was really harsh with him and didn't really think he had it in him. Not everyone does. So when he writes her asking if she will read his book she agrees. She is just hoping it won't be too bad so she doesn't have to be harsh when she tells him what she thought. Susan was an odd one. She...the way she thinks about things is just strange to me. But it was Susan. I didn't really get her, but that was okay as I didn't need to. I just knew what she was like and that was good enough. 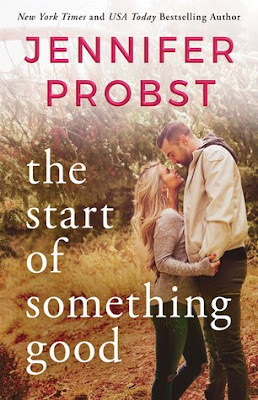 Now this book switched between Susan's life and Edward's story. At first I would get so into Edward's story that when it switched back to Susan and what she was thinking/feeling it was so jarring. Like someone splashed me with cold water. And I couldn't wait to get back to Edward's story. As it moved along I was enjoying both parts and it was interesting to see her take on what he had written. The book Edwards writes is quite intense, and I loved it. This whole story, the idea, the concept, I really enjoyed. It is not a happy go lucky story. It is dark and raw and intense in the best way. If you have seen to movie and enjoyed it give this book a read. If not read it then see the movie. Both are amazing and really interesting.